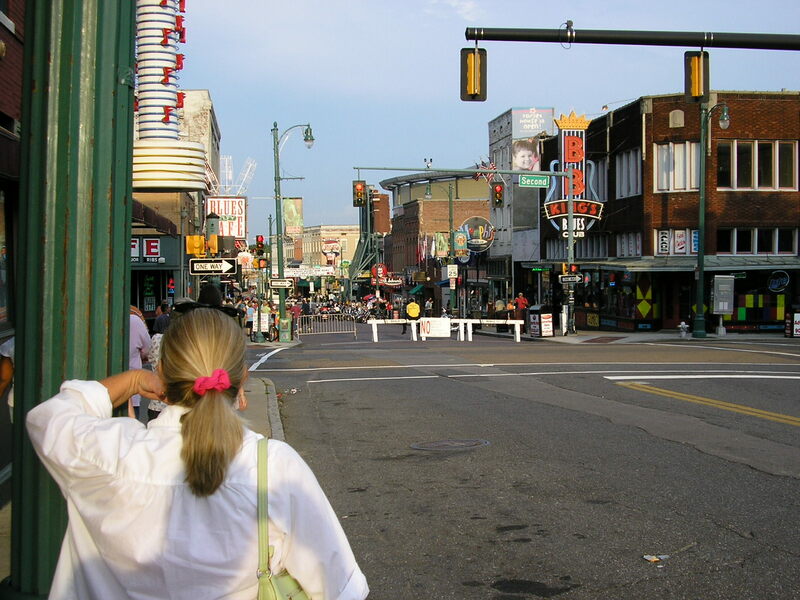 Memphis…music, people, food, music. It is a remarkable place. 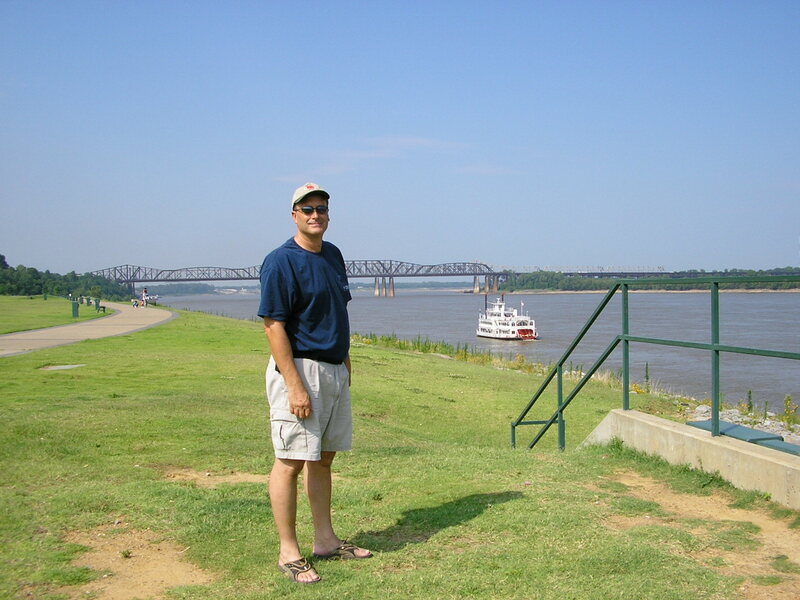 Yes the Mississippi River is muddy, broad, and moves forcefully past this amazing city. But it is the inside of the town. The guts, the brain, the voice of a place filled with the passage of people and time that grabs you. I really dug it. The sidewalks were well worn. The stores and club fronts showed the appearance of years of bodies leaning against them to get out of the heat or rain and watch humanity pass by. Beale Street had the character and style of an old railroad car with a fresh coat of paint. While we were there part of the street was cordoned off for a mass of bikers, a bikers meet and greet if you will. There were dozens of bikes, with riders milling around, laughing, drinking, smoking, and calling out to people passing by. It was friendly and fun. Beale St is full of music. Passing clubs, pubs, and bars the music pours out, drenching the sidewalk with jazz, blues, rock, and country. The first three are the ones I wanted to hear. I craved sittingt near the stage listening to live musicians give it their all. We popped into several establishments on our way to the place I wanted to be. BB Kings House of Blues. Yeah dog! I did that. 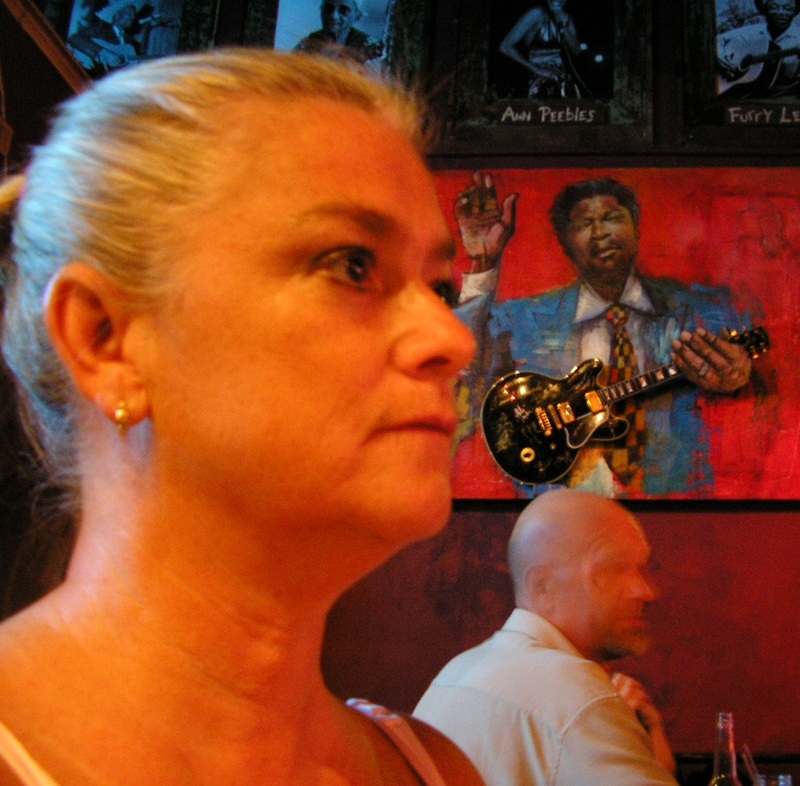 That’s me and BB Kings guitar. The food was good, we took our time, and then Corey Osborn and his band took the stage. It was a religious experience. Corey was a teenage prodigal guitarist when BB King discovered him. We sat through two or three hours of food and music. Hubby and I were loving it. We met him and his band, bought a CD and had it autographed by them all. Looking back it was a special moment in time because only a few years later Corey was killed in a car accident. It’s hard to find his music now. That CD is really special. Elvis was there too, in music, and memorabilia. 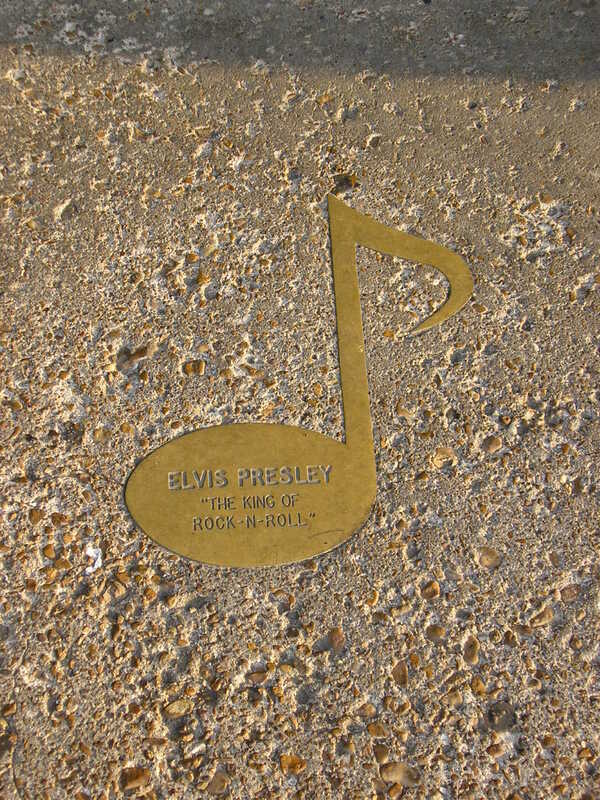 Even a musical note on the sidewalk bears his name. We left BB Kings and walked around in the evening, lots of lights shining and people milling around, such atmosphere in this city by the Mississippi River. We asked for a random guy to take our picture together, he laughed and told hubby to cozy up to that woman! He did and it was a wonderful memory of the park across the street from the House of Blues. I would love to go back and spend more time there. The food, music, and history of this city is compelling, exciting, and covers you in mood. That mood is up to you.